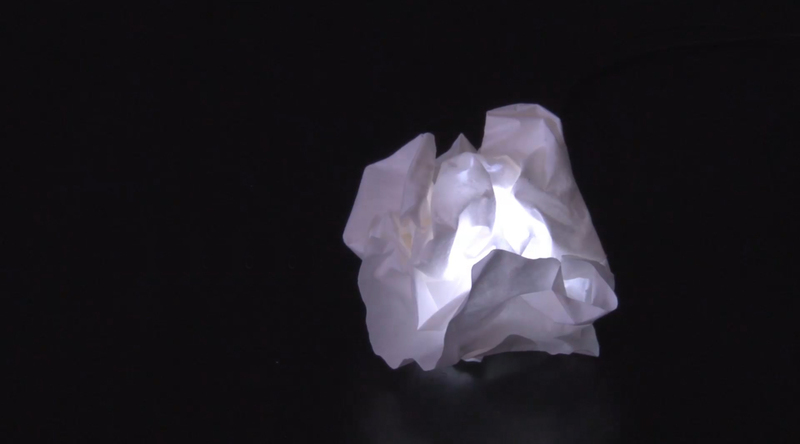 Drench Glow is using the qualities of paper as an interactive material with it’s own aesthetics. 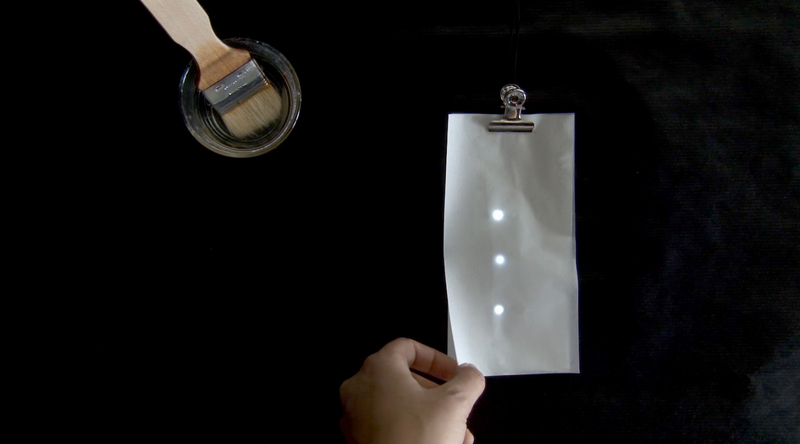 Instead of using a visual manipulation of the paper via conductive ink, the basic elements salt, water and paper can be combined to create a temporary touch sensitve surface for triggering predefined circuits. 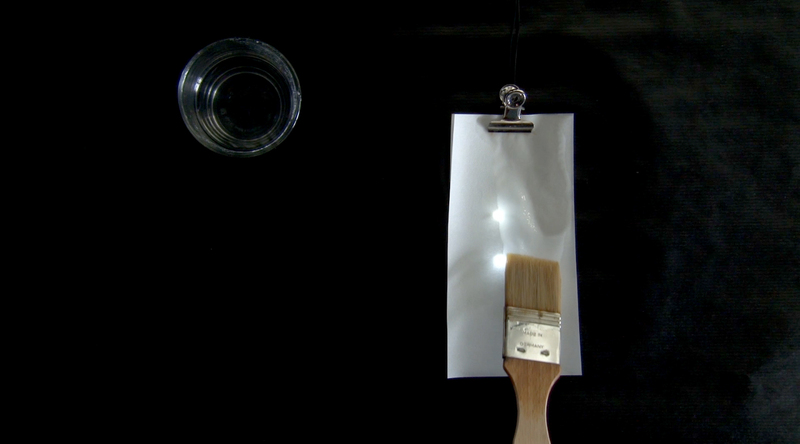 In my experiments I limited myself to the output of light to ensure an intuitive interaction and let the observer understand the process easily. 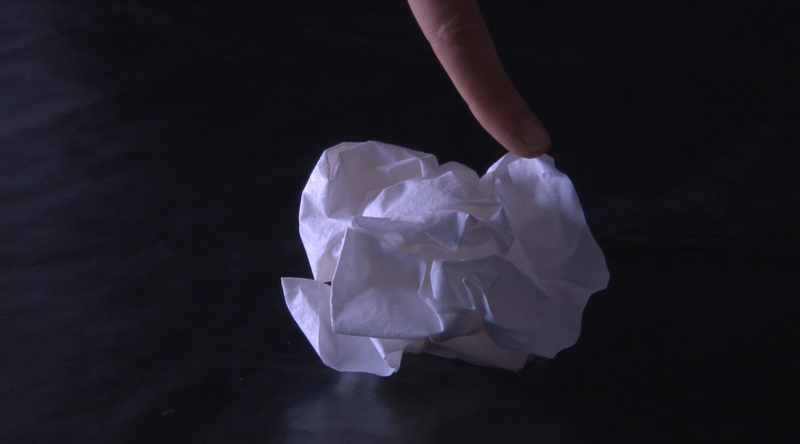 Everyone worked with paper before and is familiar with various, possible interaction with it. 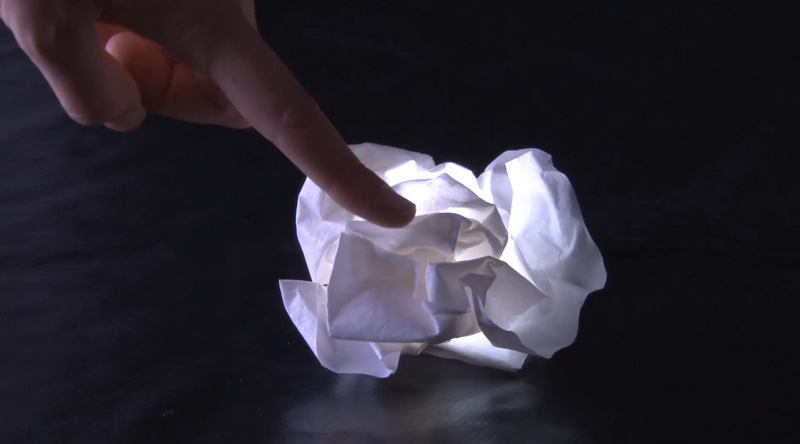 Getting paper interactive can lead to various fields of applications and this work serves as a first series of experiments. By specifically not using conductive ink with it’s visual presence, the combination of paper and saltwater offers the possibility of having temporary and invisible circuits within the paper. It’s aesthetics and special characteristics are brought into focus, thus integrating the material into possibles ways of interacting with it. 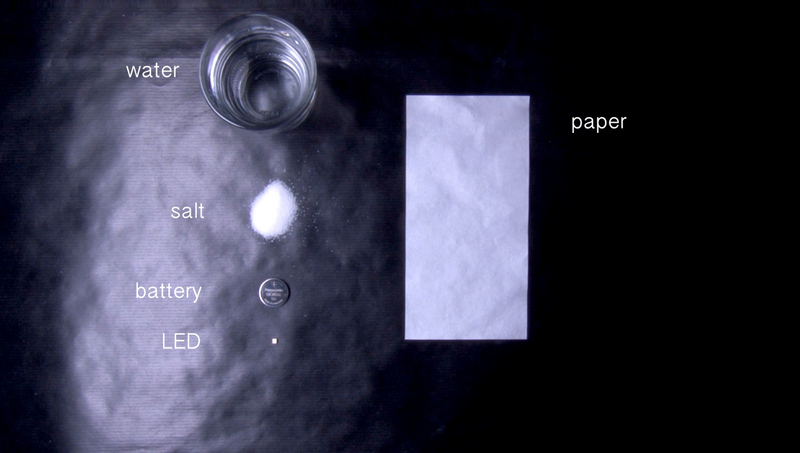 By using a uncoated paper with the ability of soaking up salt water immediately, the watered area gets conductive until the water was vaporized and can be used as a capacity sensor as well. 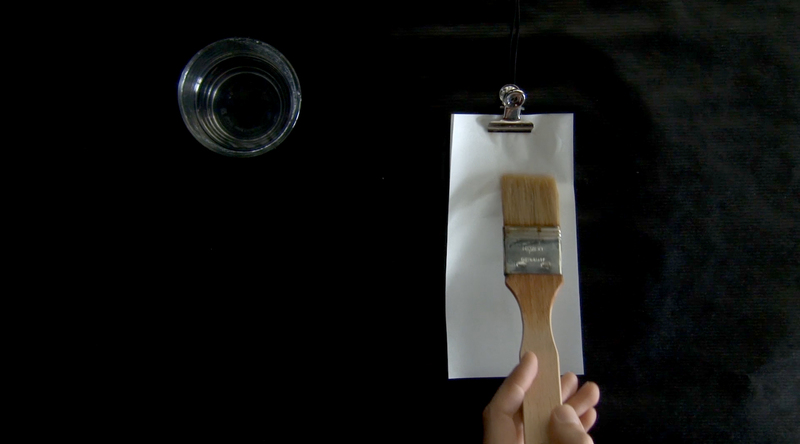 Depending on which areas are soaked, a switch can be created by using a brush to apply the water to a specific spots. 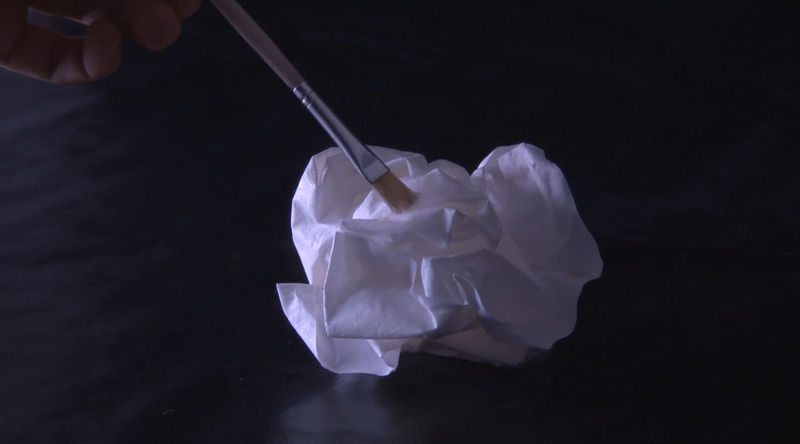 By soaking the paper into saltwater and letting it dry a stable, unique shape is created. Each time water acts as an activator. Depending on the amount of water the LEDs brightness will change. It can be applied manually or it can find it’s way through the structure of the paper after a certain amount of time, triggering specific effects.